Ladies wedding bands, ladies wedding rings, woman wedding band, woman wedding ring anniversary bands, and anniversary rings for sale in chicago, Il Illinois. 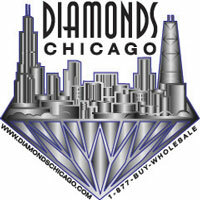 Diamonds Chicago is a wholesale manufacturer of ladies diamond wedding bands ladies wedding rings anniversary bands and anniversary rings with thousands of wedding bands and wedding rings to choose from all at wholesale prices. Call 1-312-422-0400 for an appointment. For mens wedding bands click here. For mans wedding band click here.